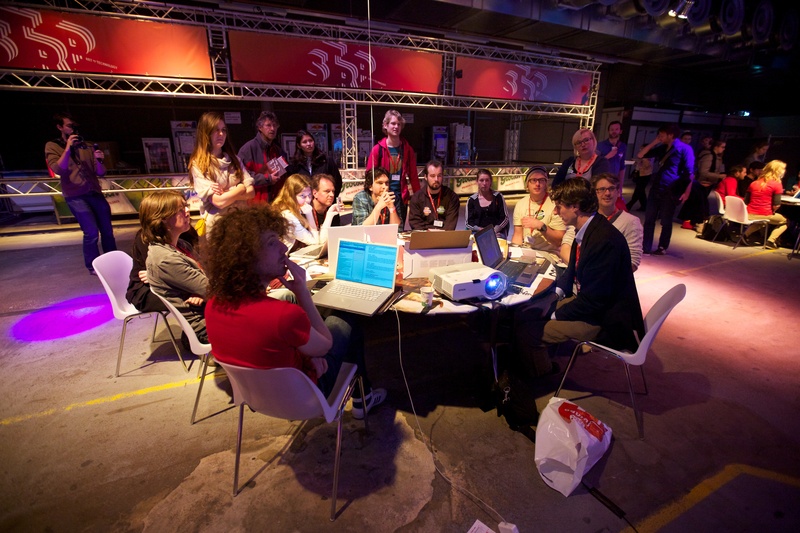 While working at Virtual Platform, the Dutch institute for digital culture, I developed an event in which young talent could connect to established digital makers. 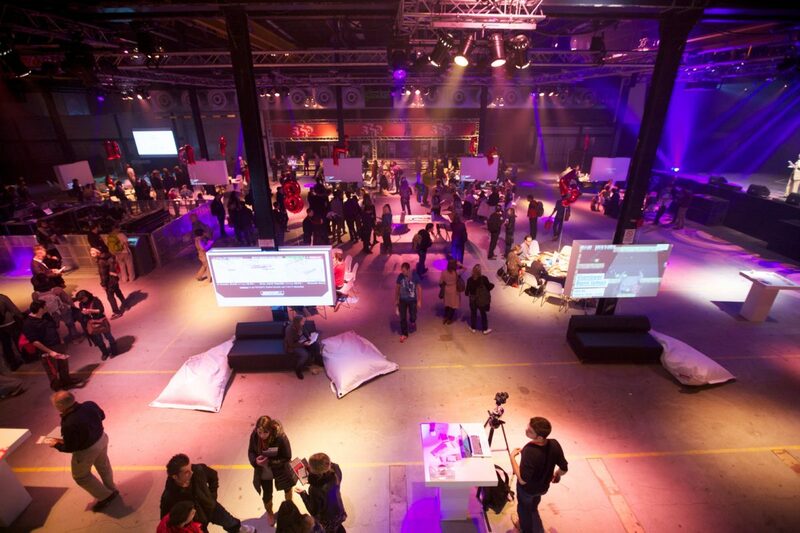 Instead of passively listening to powerpoint presentations, we placed 15 tables where digital heroes engaged in conversation the difficult work that led up to their most succesful projects. 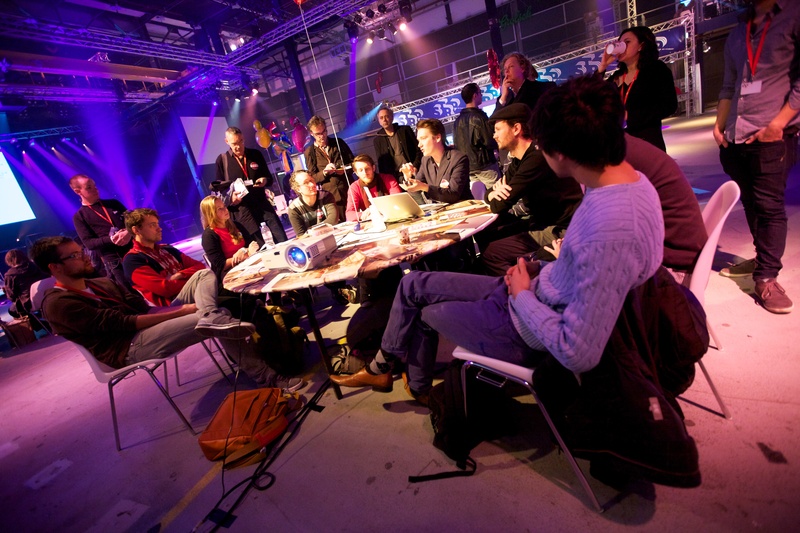 Accessible and open conversation is more inspiring than listening to varnished stories of succes. Powerpoints were forbidden. Instead the makers were asked to show actual project and work files. The format, which was open sourced, has been repeated many times, such as at the Media Days in 2012, and Bio Design in 2014. I conceptualised and curated the event, and was master of ceremony during it. My colleague Veerle Devreese handled the lion share of the production, Michel Langendijk handled promotion and communication. More details are on the project page on the Virtueel Platform website. There are photo’s on Flickr too.